I feel like this should be a confession. 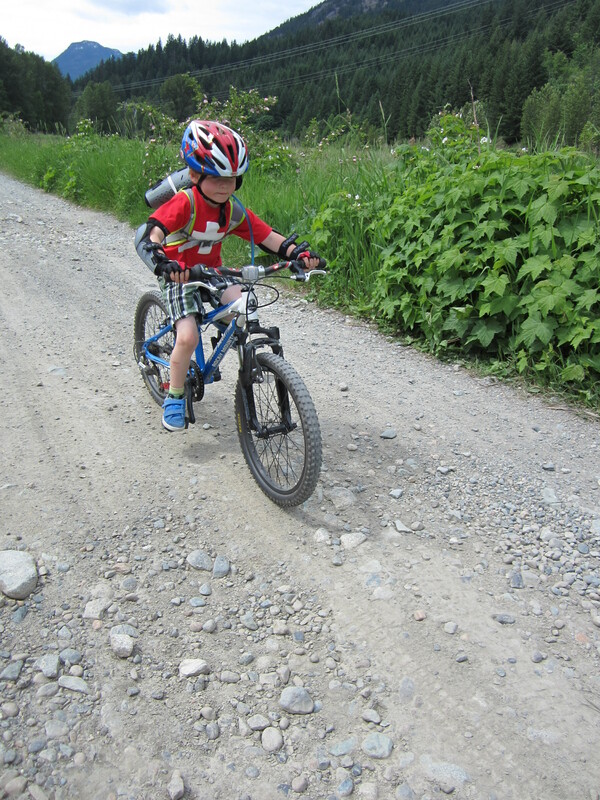 We let – actually, we encourage – Will to walk or bike to and from school on his own. He’s 6, soon to be 7 and has been doing this since the fall when he started grade 1. I’m fully aware that there are parents in our community who think that this is a big mistake and I get the hairy eyeball pretty frequently when people find out about this ritual of ours. Here’s the thing. We live in a small town, and our home is about 1km away from school. Everyone seems to know everyone else and families look out for each other. Will takes the responsibility of getting himself to and from school very seriously. He doesn’t like to talk to anyone – friends included – when he’s en route. We don’t let him do it every day. But the best part? I trust him. I know he’s not going to break my trust and do something stupid to compromise the privilege of going to and fro on his own. So my question is: how soon is too soon? How much independence or leeway do you grant your kids? He does very well going on his own. Grammy! I agree that it is a good thing. Scary? Sure.. but so is crossing the street, riding the school bus, playing sports and the list could go on and on. I rode my bike or walked to school every day every place I lived that I could. I think it’s great that he knows he’s trusted and he knows the responsibility to get to school on time and without delay. Keep up the great work. Got a great kid on your hands. Stay safe.